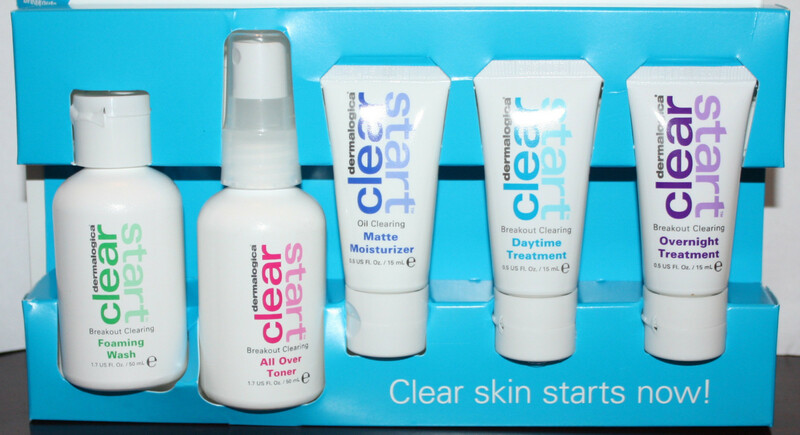 The Clear Start Kit by Dermalogica takes your skin beyond the breakout! This no fuss cleanse, tone, treat and moisturize routine that helps you manage the natural ups and downs skin goes through. So when oiliness, dryness or even breakouts try to take over, clear start takes charge and keeps skin in balance. Includes foaming wash, all over toner, matte moisturizer SPF 15, overnight treatment, daytime treatment and cooling masque. Lather foaming wash in hands and massage over damp face, neck, chest...anywhere you get breakouts! Rinse thoroughly with warm water. Spritz all over toner over face and body with eyes closed. During the day, apply matte moisturizer SPF15 to face and throat with light, upward strokes. At night after cleansing and toning, blend a thin layer of overnight treatment into skin and let absorb. Use emergency spot fix on targeted areas.